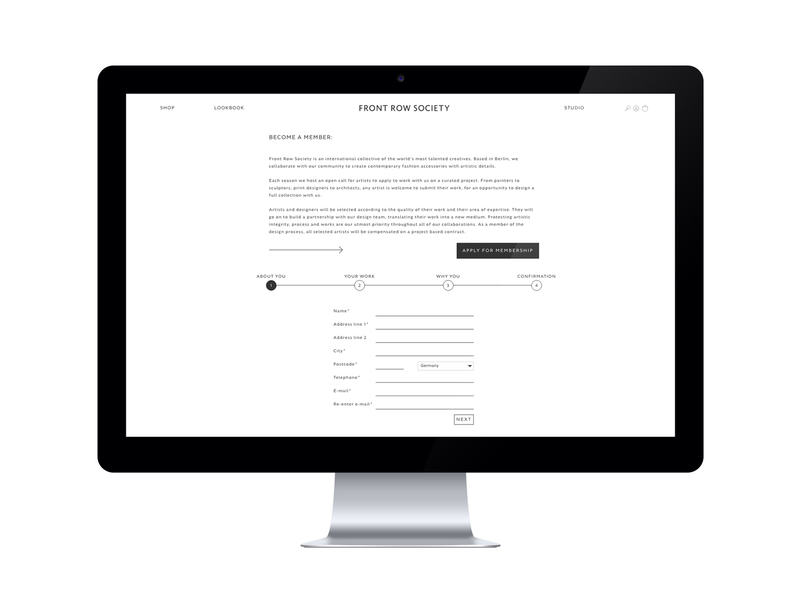 An online shop for the fashion company Front Row Society. 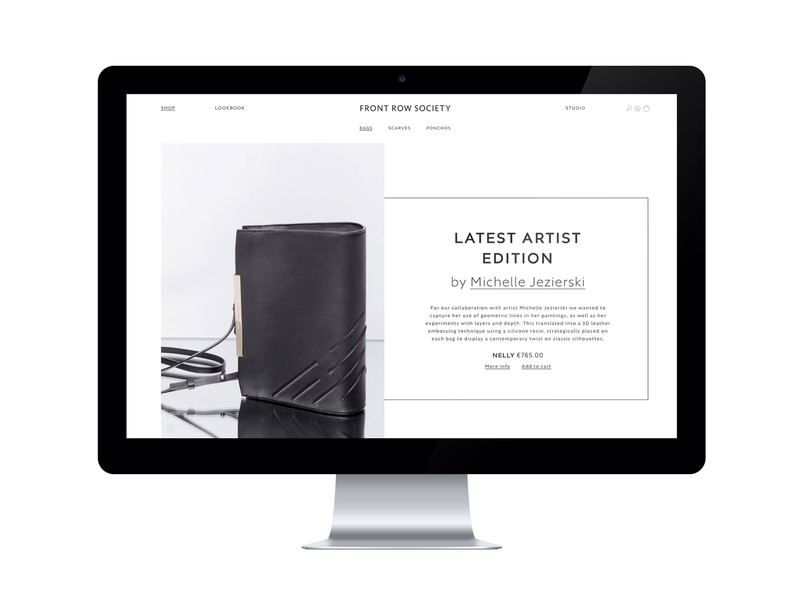 Collaborating with upcoming artists, their bags and scarves are highly unique pieces that tell their own stories. 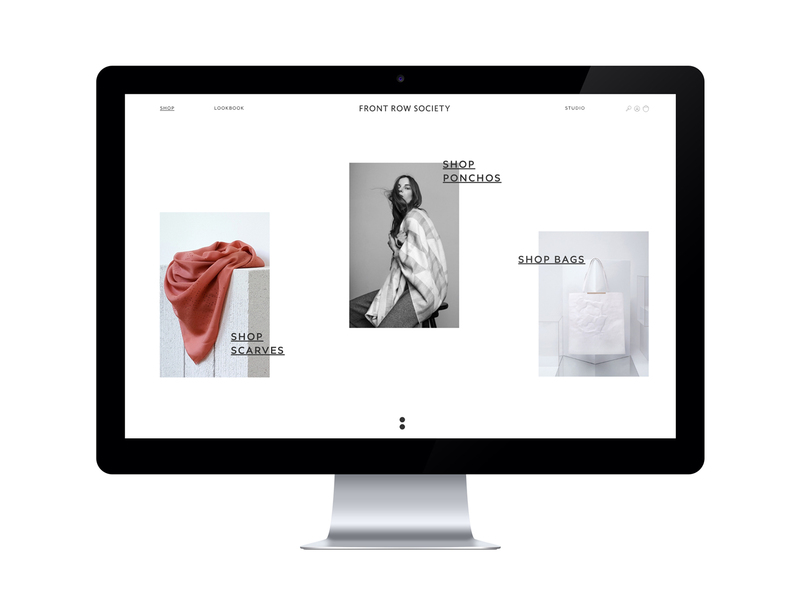 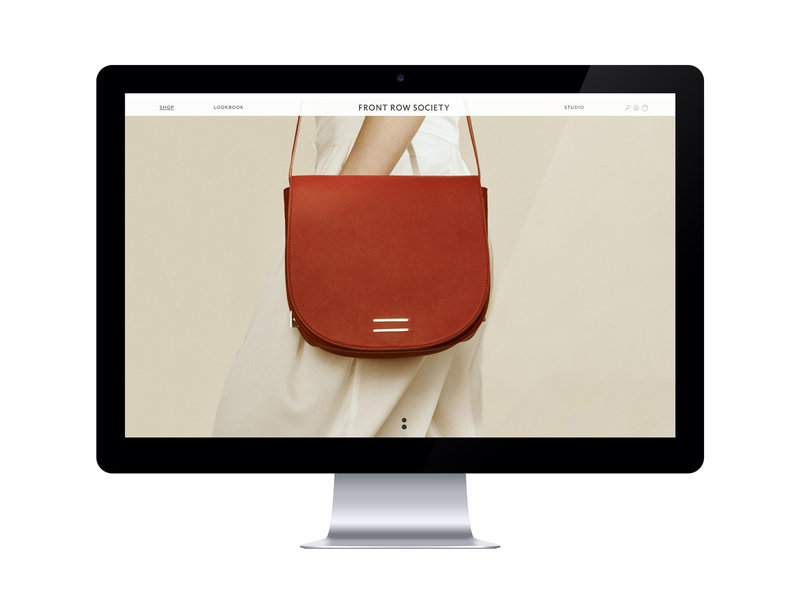 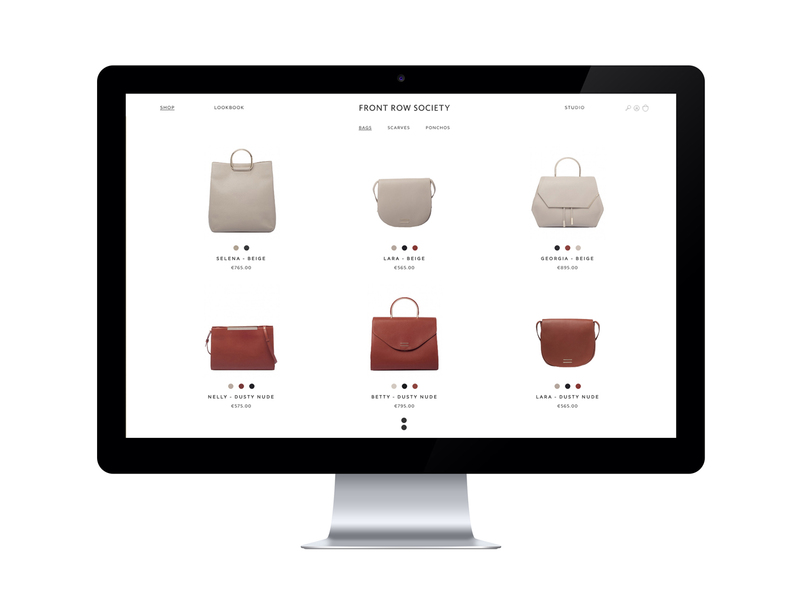 Already selling their high-quality products in major fashion stores like KaDeWe, Alsterhaus and such, they needed a pure an simple online shop that highlights the design of each product.